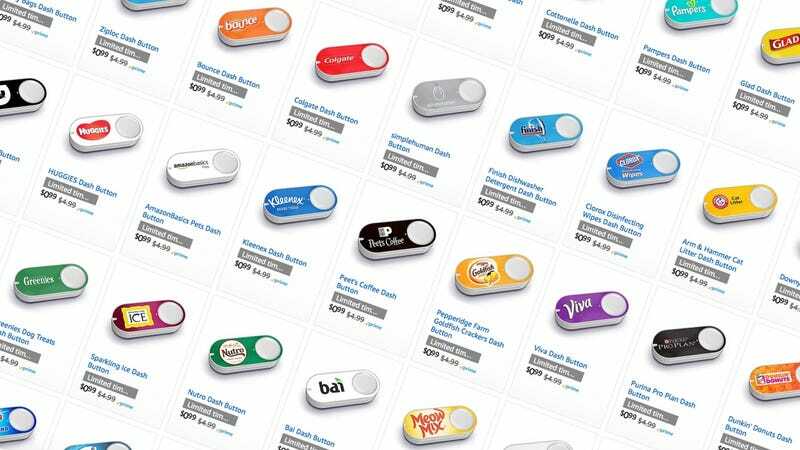 Amazon Dash Buttons are usually basically free, in that they cost $5, but get you a $5 discount the first time you use them to order a product from Amazon. But when they only cost $1, it’s like Amazon’s paying you to use them. Nearly 250 buttons are on sale today for Prime members, and there’s no limit on how many you can purchase (you can only get the credit once per button type, but you can get multiple credits from different buttons), so get clicking.